How Do My Medical Bills Get Paid After a South Carolina Auto Accident? 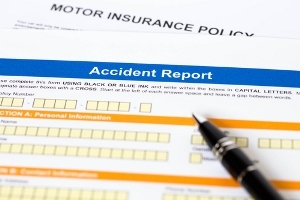 Most people who have been hurt in a car accident have questions related to medical expenses. There are a number of myths surrounding this topic that lawyers in South Carolina must dispel to help you achieve justice. In order to help you better understand the process by which medical bills are paid after a crash, I created the following summaries. If you have health insurance, you should use it for all treatment related to your accident. In other words, present your insurance card and request that all medical providers submit their bills to your health insurance company. Whether you pay the co-pay is up to you, but I certainly suggest doing so to avoid any portion of your bill being sent to collections. In South Carolina, the at-fault party’s insurance carrier generally will not make an offer on your case until medical bills and records have been submitted. In practical terms, that means time will pass between the date of your car accident and the date you may receive a settlement or jury award. When money is recovered by way of settlement or trial, those proceeds will first be used to pay back your health insurance company’s lien. South Carolina law leaves us no choice, though we will work very hard to reduce the lien to ensure you recover the greatest possible sum. We will also use the settlement funds/jury award to zero out all medical provider balances (i.e. satisfy the remaining co-pays). Therefore, at the end of your case, our goal is to provide you with the greatest possible financial recovery while also leaving you with $0.00 in outstanding medical bills. If you do not have health insurance, your attorney cannot pay for medical treatment related to the wreck from the firm's operating account without violating his/her ethical obligations. Rather than engaging in unethical practices, I seek qualified doctors willing to treat uninsured patients based on “letters of protection.” These letters are sent by me, to your treating physician or therapist, and serve to protect the doctor’s fee with a legal promise that the medical professional will be paid out of your auto accident proceeds. If money is recovered by way of settlement or trial, those proceeds will first be used to pay back your medical bills. In some instances, hospitals and other care providers will reduce your bill to assist us in reaching a fair settlement. If there are any outstanding medical bills at the time your case concludes, we will use the settlement funds/jury award to zero out all balances. Clients are therefore left with no outstanding medical expenses at the conclusion of most cases. We work hard to reduce your bills not only so we may receive a fee, but to maximize the amount of money you walk away with in the end. My job as a South Carolina car wreck lawyer is not simply to advocate on your behalf, but to answer your questions and serve as a resource in our community. I hope you found this information on medical bills useful. Should you have questions about any aspect of your car accident case, I encourage you to schedule a free consultation by calling me today at 803-790-2800. For even more helpful information, consider requesting my free South Carolina car crash guide book. My experience with everyone at the Law Office of Kenneth Berger, LLC was absolutely excellent. I would recommend them to anyone with a case that falls within their range. Kenneth and everyone at the office are always friendly, caring, and helpful. During my entire case, I felt as though I could not have been in better hands. They all worked incessantly towards the best results possible. I cannot thank them enough for all they did. ?What are punitive damages and how are they determined? ?What damages can I recover after being hit by a drunk driver? ?How does a DUI accident case work?